Kothari International School, Sector 50 offers Kindergarden, Primary School, Middle School and High School and is affiliated to CBSE (2130842) and also offers CIE: IGCSE (IN427). 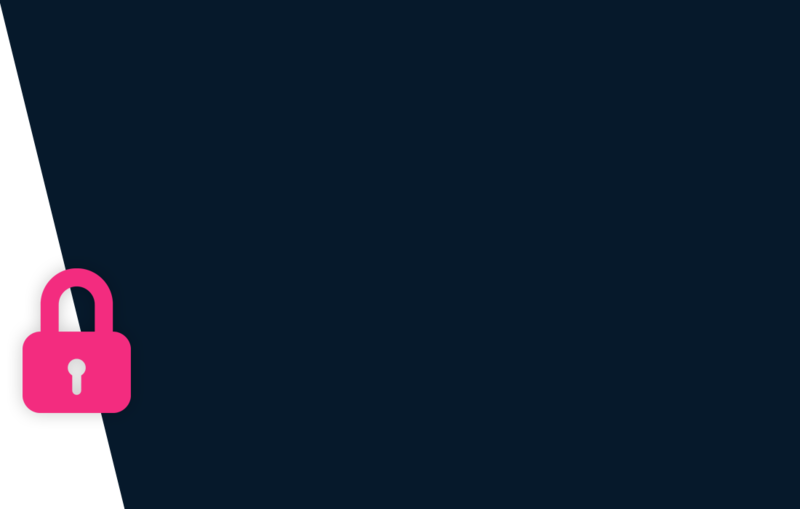 This Private Co-Educational School in Noida was founded in 1995 and is located in Sector 50. Checkout its exact location and address at the school pointer on the map section. Kothari International School (KIS) acts under the authority of the Executive Committee of Sharda Mansukhlal Kothari Charitable Trust and is a day boarding school spread on an 8 acre site that offer students a dual curriculum. Based on international standards, KIS integrates its education with the Central Board of Secondary Education of India and the National Curriculum for England. The Chairman of the school is Mr. Deepak Kothari who is also former director of Air India and Indian Airlines. A co-educational school, Kothari International aims at reducing the burden of homework and inculcates self learning through it day boarding provision and strives to help students complete their school work during the Swadhaya (Self-Learning) period. The child needs to be minimum 4 Years as on 31 March 2019 to be eligible for KG admission. School Admission applications can be made Online on the school website. Originals and copies of the following documents are typically required for processing application of admission: 1 Passport size photograph of parents, Birth Certificate, 5 Passport size photograph of the child, Transfer Certificate (TC), Last Year’s Report Card, Residence Proof, Medical Certificate and Immunization History. New academic session for the school starts from April. You can find further details below for reference on admission eligibility and application for KG and Higher Grades in the section below, but we strongly recommend that you check the school website for most accurate and up-to-date information. 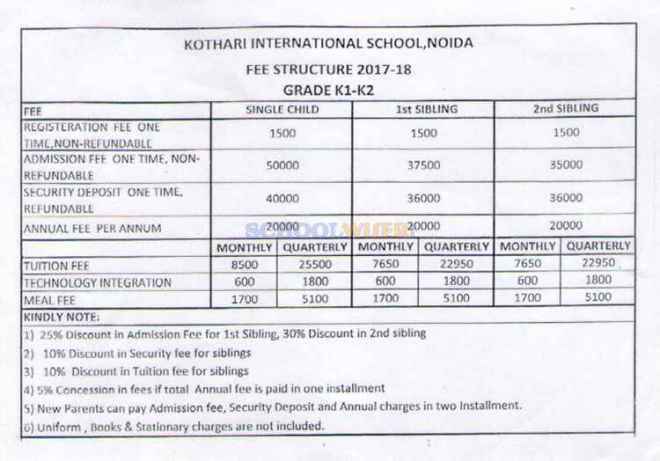 A detailed fee structure & complete breakup for Kothari International School, Sector 50 is provided below for reference. The objective of the fees details below is to provide an economic reference point for parents to understand approximate expense for this school and evaluate affordability based on their current circumstances and for the long term.